Leading innovation in 360-degree panoramic imaging, ImmerVision licences its patented panomorph optical and software technology to global lens producers, product manufacturers and software developers including Visual Management System Ltd. developers of the TITAN portfolio. Leading innovation in 360-degree panoramic imaging, ImmerVision licences its patented panomorph optical and software technology to global lens producers, product manufacturers and software developers. Panomorph lenses are the only ones that can be adapted to any camera, any sensor, and any consumer, commercial and government market. 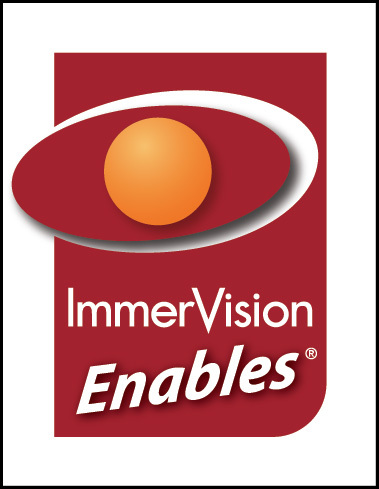 ImmerVision Enables is the recognised standard for 360-degree solutions and applications. The ImmerVision solutions are fully integrated with TITAN VISION, TITAN SECURE and TITAN SIGMA via Visual Management Systems Ltd's unique deep integration technology.